UNDEFEATED x A Bathing Ape – UNDEFEATED and A Bathing Ape (BAPE) join forces again for a fall collection that draws inspiration from the punk rock era. Military-style was a cornerstone of the punk movement and a prominent piece of the collection is a fishtail parka and a bomber-style flight jacket. In addition to the outerwear there are an assortment of co-branded graphic T-shirts, button-up shirts, and the fan-favorite Shark hoodie. The capsule colleciton is set to drop this Saturday, September 24 at all UNDEFEATED chapter stores. 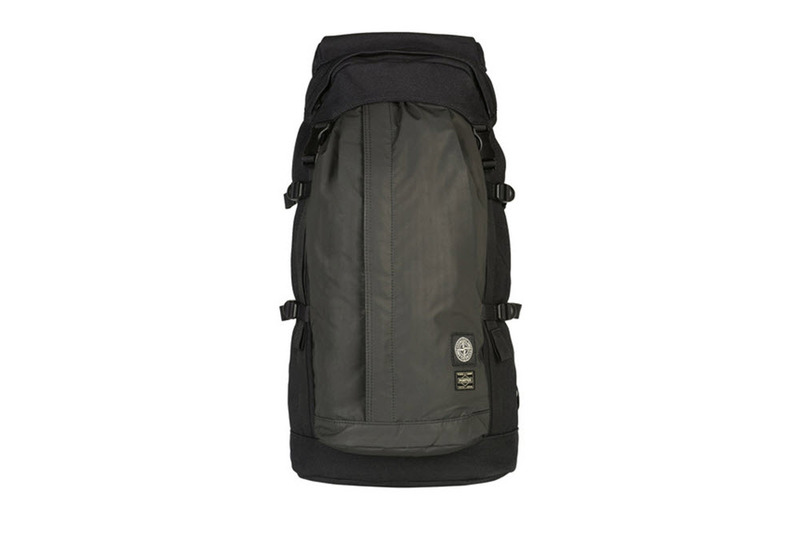 Stone Island x Porter – Looking for an extra expensive bag for your next adventure? The answer sits with Stone Island and their latest project with Porter. The Japanese bag and accessory maker sticks to a traditional design with a big front pocket, vertical zip fastening, and an extra flap cover with large bellow pockets. The bag uses a durable nylon canvas and uses Stone Island’s Hidden Reflective fabric with a coating made of thousands of glass microspheres. The bag has an opaque black look during the day, but is reflective immediately when light is shined upon it. SSUR*PLUS Fall/Winter 2016 Delivery 1 – Ruslan Karablin’s Russian roots are the cornerstone for the first delivery from SSUR*PLUS for fall and winter 2016. 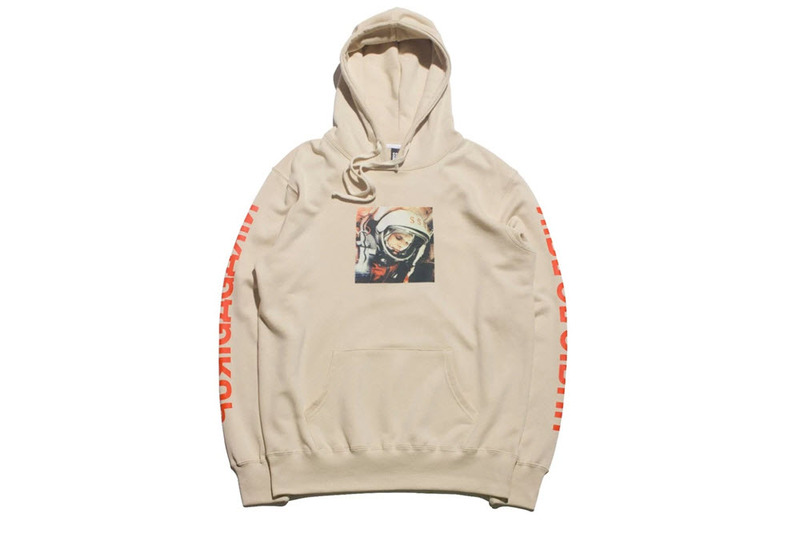 The New York label takes inspiration from the Soviet Space race by creating a collection centered around the “First Man in Space” theme. The new collection features designs that are a combination of both Japanese characters and animations mixed with SSUR’s familiar logos. The new batch of graphic T-shirts, hoodies, and headwear are available at select SSUR locations now. Larry Clark for Stussy – Larry Clark is usually attached to a Supreme project, but the controversial director is now the center of a new Stussy project. Larry Clark’s 1993 shot of a What’s Eating Gilbert Grape? 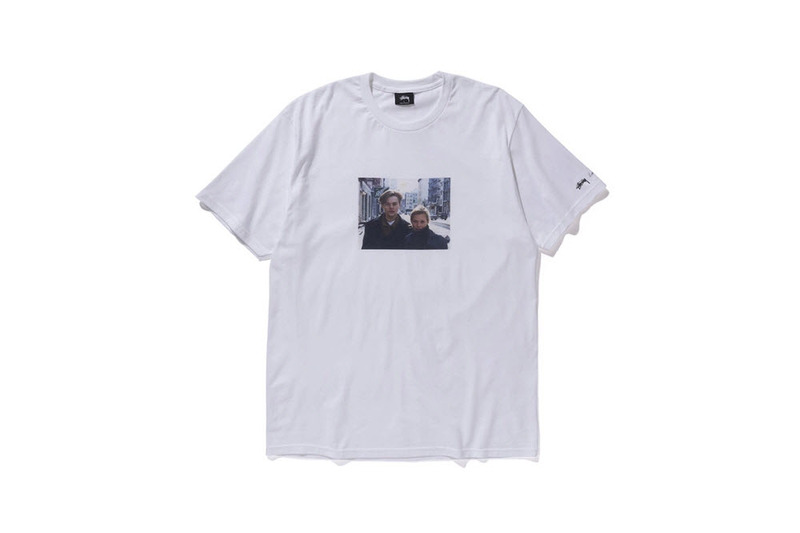 with Leonardo DiCaprio and Kate Moss is printed across a simple white T-shirt and will be part of Clark’s “Tokyo 100″ exhibition at GALLERY TARGET in Japan. The tee and limited 4×6 prints will drop this Friday, September 23. the tee simply comes in white and features the photo across the chest while Stüssy’s signature script is flanked by a facsimile of Clark’s signature on the left sleeve. 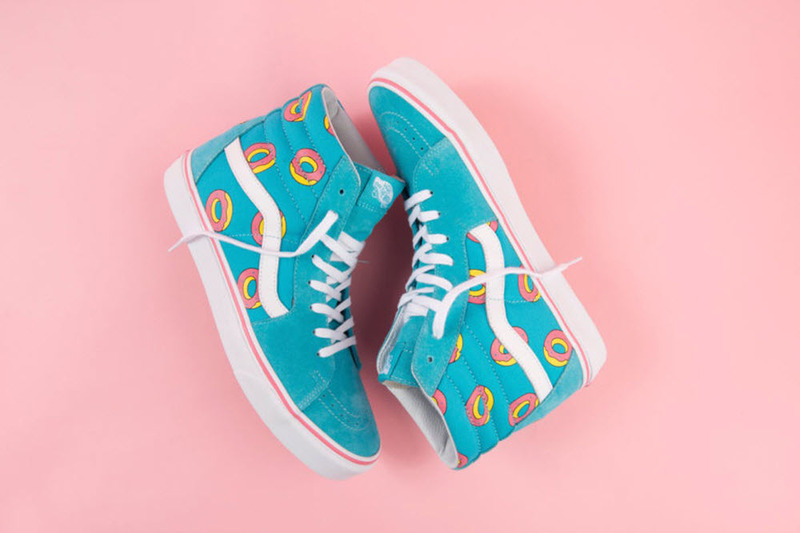 Odd Future x Vans – Odd Future’s donut print has appeared across all forms of merchandise for several seasons now, but this is first time that it has appeared on footwear. The whimsical print is set to appear across the Sk8-Hi and Authentic against bright teal suede. The release is very limited and will be released through a partnership with Live Nation Merchandise and it includes a custom shoe box. This collaboration will hit select European stockists this Saturday, September 24. 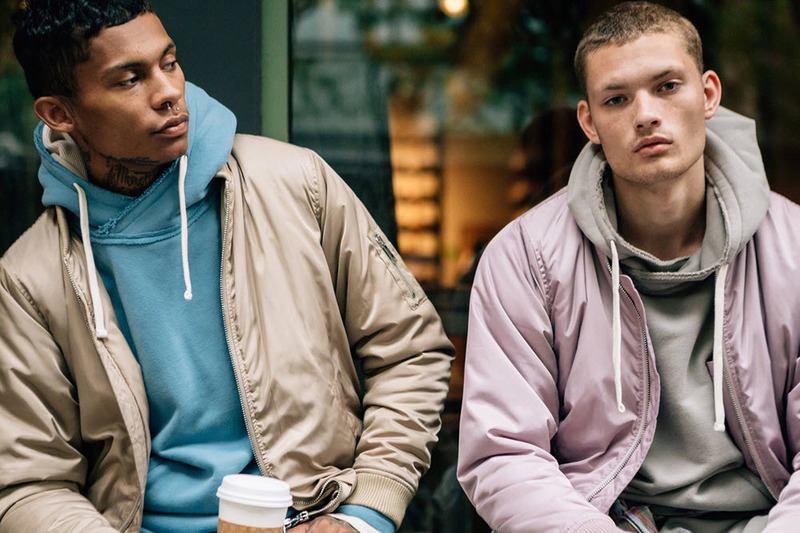 KITH 2016 Fall Collection – KITH is on a rampage and the boutique is delving into more than just sportswear. For their Fall 2016 collection, the New York boutique has set its sights on menswear with a military twist. The collection starts with the Almeda Hoodie and Pullover Kennedy Stack Neck—which both use custom-milled fabric to give it a plush feel. In addition to the fleece their are plaid flannel button-downs, graphic T-shirts, moto pants, and the return of KITH’s Astor MA-1 jacket. The extensive collection hits stores tomorrow, September 24. Carhartt W.I.P. 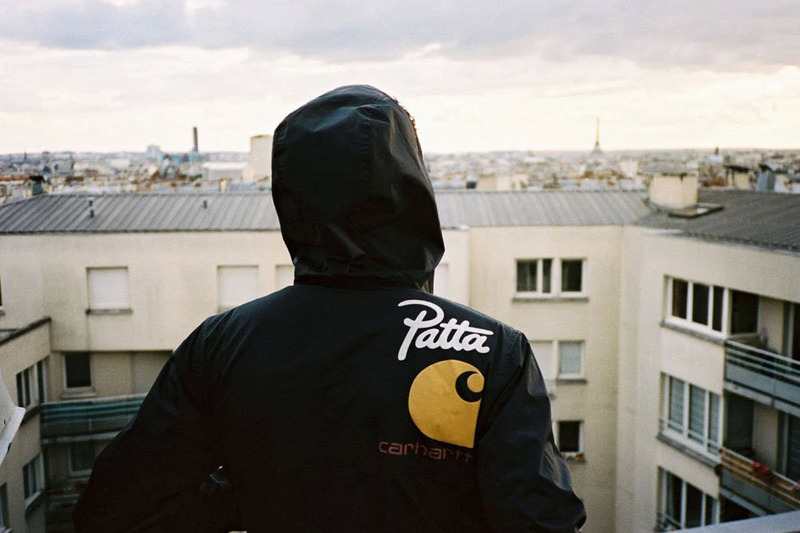 x Patta – Carhartt W.I.P. have worked with some illustrious collaborators and the latest has them linking up with Scandinavia’s Patta. 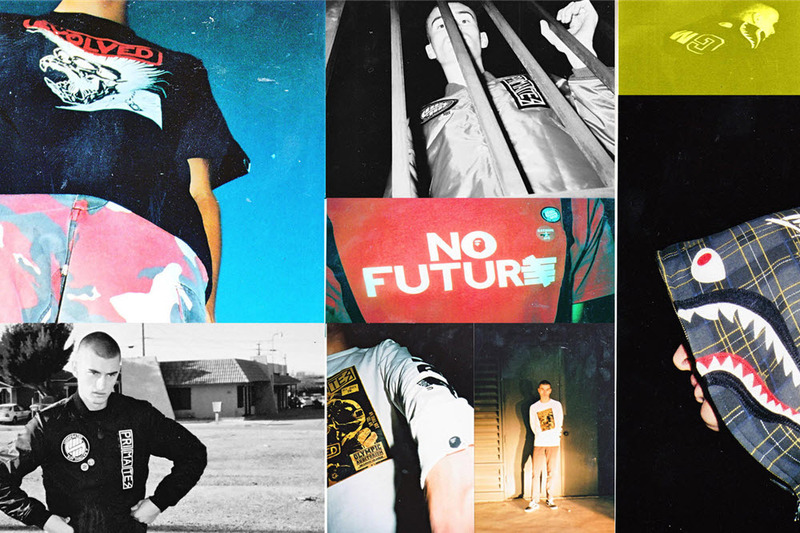 Streetwear and workwear meet in the middle to create a bevy of graphic T-shirts, pullovers, watch caps, and some cold winter pieces such as parka and bomber jackets. Besides the menswear there will be a range of co-branded accessories such as bags and crew socks. 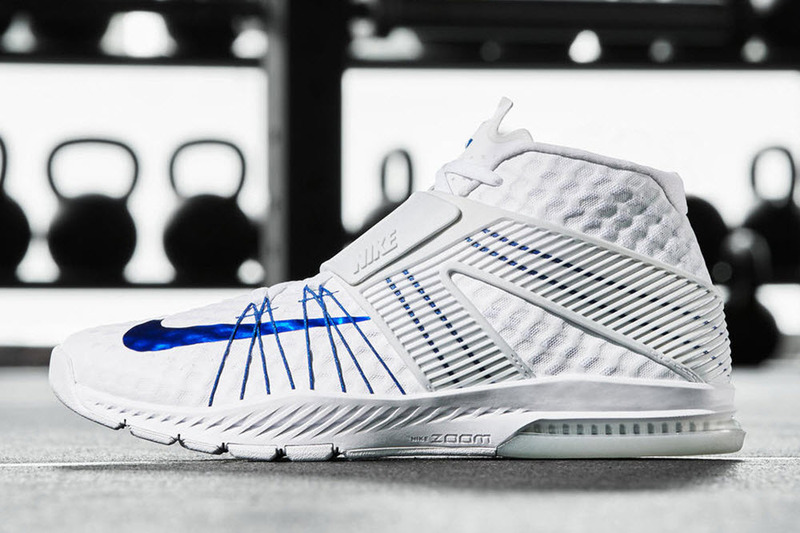 Nike Zoom Train Toranada – You’ve seen him in all of Nike’s commercials, but it looks like New England Patriots player Rob Gronkowski is finally getting his own shoe. The Nike Zoom Train Toranada “Gronk” drops this weekend and contains a mid-cut crosstraining sneaker with Flywire constructed uppers and a double stack Zoom Air for cushioning. The shoes arrive in a modest white and blue, which is fitting for the unstoppable tight end.